My name is Ashleigh Morris and Ruby Ashby is my beautiful neice from Towradgi NSW, Australia. 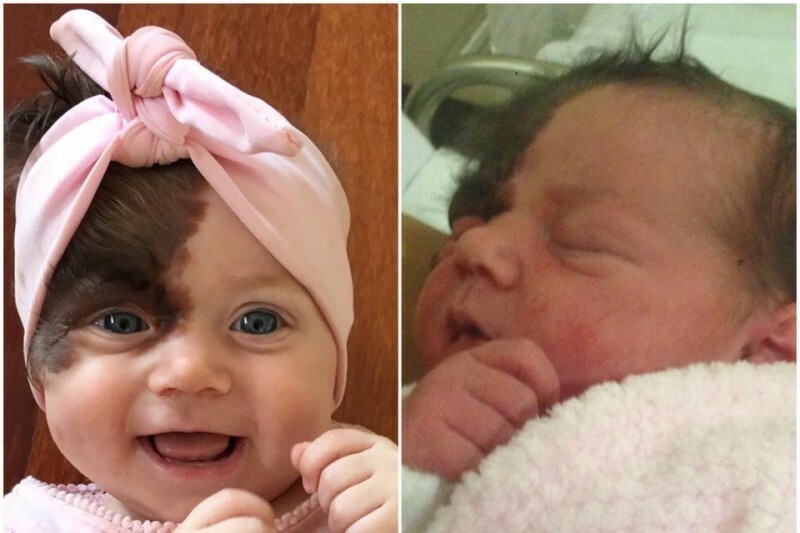 Ruby Ashby was born with congenital melanocytic nevus which translates to a large birthmark/mole which unfortunately covers the right side of her face. There is a 1 in 500,000 chance to be born with it but this doesn't mean she needs to live with it! Ruby will need to undergo about 7 operations to remove it before she starts school. The first operation alone is going to cost $10,000 and at this stage Ruby will have to undergo 4 operations this year alone which in total be $40,000 . Ruby is like any normal 7 months old, she has a cheeky smile and such a happy personality with a contagious laugh and has been so lucky to be brought into a family who love her unconditionally. We are holding a fundraiser on Saturday 16th January 2016. We all appreciate your support so much no matter how big or small it is. These donations will be going directly to the Ashby family for Ruby's operations. The support from every single person who has donated to Ruby has really touched the whole family's hearts. We can not begin to express how thankful we are with the generosity so many people have shown especially around this time of year where families do find it tough themselves financially. Ruby's first operation cost has already been raised, this is something we never thought would be achievable so quickly. From the bottom of my heart I truly thank you so much and I know Natalie and Ben are blown away on how much exposure this cause has raised. If you were not aware we are holding a fundraiser for Ruby on the 16th January 2016 at Royal Motor Boat Yacht Club - Port Hacking (228 - 232 Woolooware Road, Burraneer) 1pm - 6pm. Corey Butler-maybe you should do some research as to what the potential complications are if this condition is left untreated. To Ruby's family-your sweet girl is stunningly beautiful and I wish you the best on the medical journey you face! You will all be in my prayers! I too have a daughter who was born with this! She is 7 now and you can hardly tell she ever even had one. Prayers for you all as you go through this difficult process. I have been there before and know exactly what you are going through! Hi, I heard about this in the news. I was born with the same condition and I also had similar operations as a child. I'm a happy, healthy adult now and wanted to wish you the best of luck. To Ruby's family - it was a pleasure to donate to such a great cause. 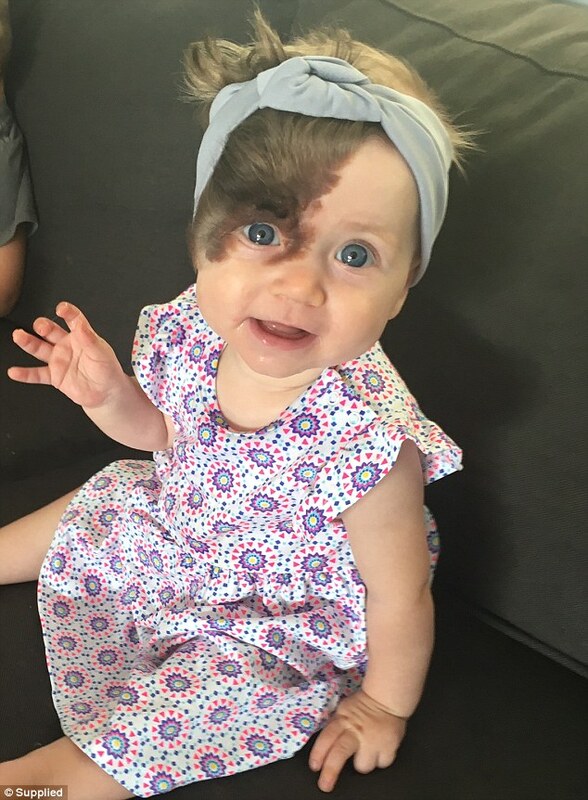 Ruby is absolutely beautiful already - you can see what a happy and outgoing little girl she is and she's very fortunate to have been born into a family who love her for herself; while the surgeries will be long term and difficult, I understand from others that the final outcome will be amazing. Congratulation to Ashleigh for being the #1 Aunty and alerting all of us to the need for funds to ensure that Ruby's medical treatment can be started as soon as possible. Ruby, know that you've won the hearts of hundreds of people, not only in Australia but overseas as well. We wish you nothing but the very best in the weeks and months ahead. Warmest good wishes from Kim and family. My son was born with the same thing , but it is alil bigger , he's had 4 surgeries so far and has about 2 more to go . Good luck!